During the hearing, the apex court referred to an advertisement on 'Swachh Bharat Abhiyan' and said it says that India has 13 out of the 20 most polluted cities in the world. The bench dealt with the issue of comprehensive action plan on air pollution in Delhi and NCR. New Delhi: The Supreme Court today said all steps were required to be taken to tackle air pollution otherwise the government health programmes would "completely go haywire" and people will fall sick since 13 out of the 20 most polluted cities in the world are in India. The apex court made this observation while hearing a matter related to pollution during which the Ministry of Environment, Forest and Climate Change (MoEF&CC) informed it that pollution emission standards for several categories of industries in the Delhi-national capital region (NCR) have been notified. 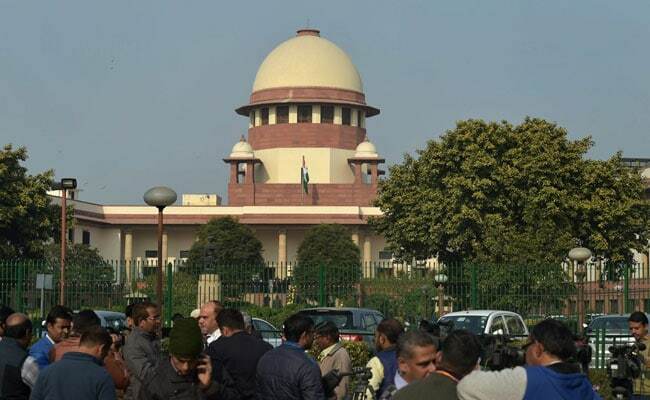 Representing the ministry, Additional Solicitor General (ASG) A N S Nadkarni told a bench comprising Justices Madan B Lokur and Deepak Gupta that standards for five categories of industries would be finalised by March 31. "I think what the advertisement says is on behalf of the government of India. So, we hope that every steps would be taken otherwise all your health programmes would completely go haywire with people falling sick," Justice Lokur observed. The bench dealt with the issue of comprehensive action plan on air pollution in Delhi and NCR comprising the states of Uttar Pradesh, Haryana and Rajasthan. On the issue of ban on import of pet coke, the ministry told the bench that there was deficit in availability of pet coke domestically and consultation was going on with Ministry of Petroleum and Natural Gas (MoPNG) over this. The ministry said the use of pet coke may be allowed in calcium carbide-based industries as per the recommendations of the Central Pollution Control Board (CPCB). Meanwhile, advocate Aparajita Singh, assisting the court as an amicus curiae, referred to the suggestions of the apex court-mandated Environment Pollution Control Authority (EPCA) and said regulation on use of pet coke should be implemented strictly and state pollution control boards should be asked to compile a data on its sell and purchase. Ms Singh said that source of pet coke and its utilisation should be monitored on a monthly basis for atleast one year. Regarding the issue of availability of natural gas for thermal power plants in the NCR, the ministry said it was in the process of deliberations with the MoPNG, the Petroleum and Natural Gas Regulatory Board and other authorities. About Delhi's Bawana power plant, Mr Nadkarni said necessary steps have been taken and the plant would start working at full capacity by March 1. On the comprehensive action plan on air pollution in the Delhi-NCR, the ASG said that several issues contained in it have already been notified while on the remaining aspects, discussions would be held between the ministries concerned. The bench asked the MoEF to come out with a notification on the remaining issues within three weeks. The ministry also informed the court that national green air programme, as suggested by the EPCA, was discussed with the authorities and necessary steps would be taken soon. Regarding EPCA's suggestions on non-motorised transport, like cycle and walking tracks and battery-operated vehicles, the ASG said he would look into it. The bench said issue related to thermal power plants would be dealt with on February 16, the next date of hearing. It said that issue whether on-board diagnostic (OBD) scanners could be made compulsory for vehicle pollution test centres in grade A cities like Delhi, would be considered separately. OBD is an automotive term referring to a vehicle's self- diagnostic and reporting capability. OBD II is designed to inform a car owner about any malfunction, including problems with brake or with the emission control system. Meanwhile, the EPCA told the court that it has received a report from Pune-based Automotive Research Association of India on pollution under control (PUC) certificate programme and the Delhi government and the Ministry of Road Transport and Highways should be asked to check the PUC centres operating in Delhi-NCR. The bench asked the authorities concerned to look into it as per the recommendations of EPCA. The court was hearing a PIL filed in 1985 by environmentalist M C Mehta who had raised the issue of air pollution in the Delhi-NCR.